Product prices and availability are accurate as of 2019-04-19 23:55:11 UTC and are subject to change. Any price and availability information displayed on http://www.amazon.com/ at the time of purchase will apply to the purchase of this product. 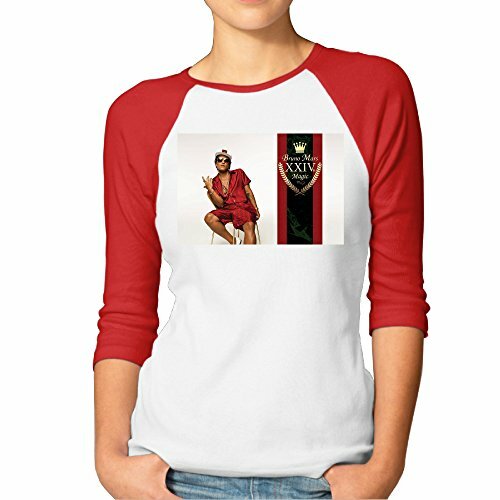 Make A Statement With This Raglan Three-quarter Sleeve T Shirt That Is Made Of 100% Cotton And Offer An Comfortable Fit.The Spacial Design Is Contrast Color Set-in Collar,which Can Make You More Attractive And Charming.Simple But Fashionable! 100% Cotton.Comfortable To Fit. Contrast Color Set-in Collar And 3/4 Length Raglan Sleeve. Machine Washable. High Quality Printed On Front. Good As A Gift For Yourself Or Friends.